Not a redundant retro video games outlet in Stevenage (although the name sounds like it) but rather a pretty awesome UK manufacturer of slots and slot machines, Games Warehouse is busy forging a name for itself in the gaming industry. If you've been in a pub or club in England in the past five years you've probably sunk a few quid into one of Games Warehouse's quiz machines (or 'skill with prizes' games) while the offshoot GW Games is focussing on churning out some top-quality online slots. While GW won't win prizes for originality, their range of slots has been developed with the mobile and desktop crowd firmly in mind. Let's take a closer look at why Games Warehouse slots will be on your radar in the coming months. Based in Derby in England and now into its second decade, Games Warehouse has risen to become one of the leading suppliers of video gaming terminals in Britain. They have more recently launched a decent portfolio of slots for mobile and desktop platforms. Games Warehouse is perhaps best known for its range of SWPs (Skill With Prize) games provided in pubs and bars in the United Kingdom. The firm's Paragon brand features low-stakes terminals with various quiz and trivia games offering low maximum prizes around £50. 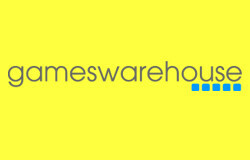 However, Games Warehouse also develops content in partnership with other licence-owners like Endemol (with the Deal or No Deal and Million Pound Drop SWPs) and another British manufacturer, Bell-Fruit. Through the firm's GW Games wing - launched as recently as 2015 - Games Warehouse supplies a range of games to online casinos. As you'd expect, the portfolio is a little thin but what's there already is pretty impressive. Gold Strike, available at several big online casinos, is a 5-reel, 20-payline game with a Wild West theme and a 'Dynamite Bonus' triggered by landing three or more Scatters on the reels. Effectively it's a simple 'Pick Me' style bonus where you use your sharp-shooting skills to blow tin cans off barrels. Also featured is a 'Lock 'N Load' bonus where Wilds hold in place and the reels re-spin, while the 'Lucky Strike Bonus' features a scratchcard where successfully revealing a Lucky Strike symbols launches a big-cash Gold Mine feature. The big-hitting 'Lock N' Load' feature can be seen in gangster-themed Lucky's Empire. Again, any winning combos are held in place while the remaining symbols re-spin. Six Scatters trigger the bonus round where players have to 'pick a mugshot' to select a henchman who will help them hunt out the gangsters' loot from a map of city locations. If you're looking for no-nonsense video slots with simple animations and bonus features, Games Warehouse are for you. While their portfolio of games is still very much growing, there's enough available right now. Check out our free-play slots page to try out some GW titles for yourself. And with several big real-money casinos providing Games Warehouse slots, you can make the step up to real-cash slots when your bankroll is ready.